The game of an increased level of complexity. 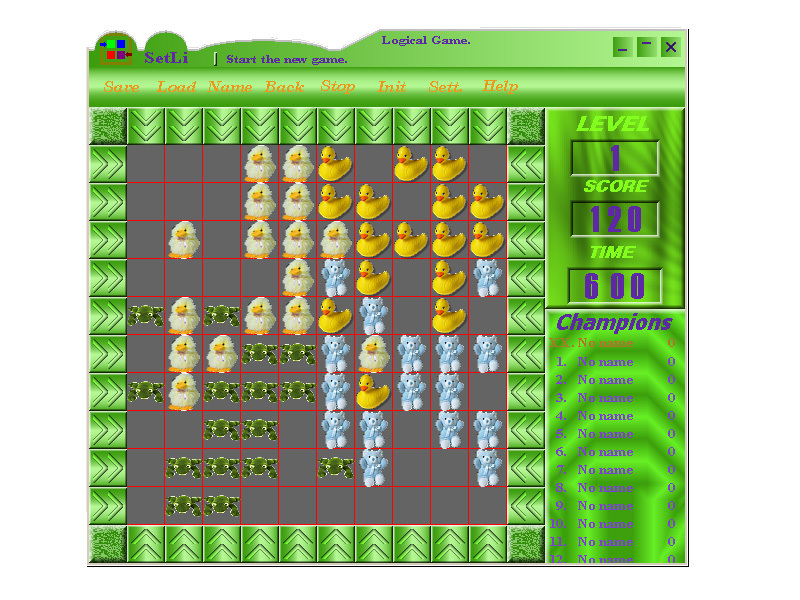 The objective of the game is the installation of blocks in a source state, which is demonstrated before the beginning of the game within three seconds. It is four squares consisting from blocks of one type. The squares are located in center of a game field so, that around of them there is one empty crate. The installation of blocks is executed by moving of lines of blocks. The installation of blocks is executed by moving of lines of blocks at pressing buttons located on perimeter of a field. Each course reduces your score. If all blocks are placed on the source places, you pass to the following round. Maintain records of catches, sets, fur sales, complete trap inventory. Qweas is providing links to SetLi (Set Line) 2.18 as a courtesy, and makes no representations regarding SetLi (Set Line) or any other applications or any information related thereto. Any questions, complaints or claims regarding this application SetLi (Set Line) 2.18 must be directed to the appropriate software vendor. You may click the publisher link of SetLi (Set Line) on the top of this page to get more details about the vendor.